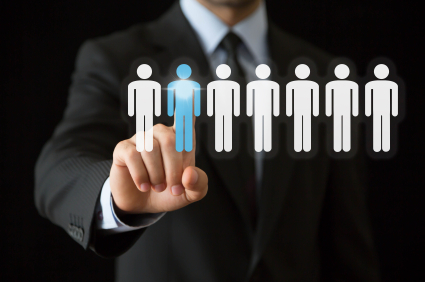 Tech-Pro helps clients achieve staffing performance levels in highly competitive industries. No matter how difficult or complex the requirement is, and no matter how high the volume–Tech-Pro delivers. Tech-Pro clients do more with fewer resources. We help them successfully align talent supporting their human capital needs and strengthen their talent acquisition function. We help clients achieve their business objectives with simplicity to our approach. For those who are looking to consolidate their vendor lists or streamline procurement processes without increasing budgets, Tech-Pro can help. Tech-Pro’s pass-through management services will help to transition critical resources while maintaining teams on specific projects during important acquisitions and mergers. Tech-Pro’s state-of-the-art systems and methodologies make us an ideal partner when it comes to providing payroll services to your contract employees. Our payroll services unify the communication and compliance for your contract employees. Our services fulfill your need to work with a partner that helps you manage your contract workforce. Therefore, we work with you as a ‘partner’ and not just a ‘vendor’, reducing your liabilities and management of contract employees. Contact Tech-Pro to learn about the advantages you can receive from our payroll services. Our managed staffing services simplify vendor management for those who have multiple vendors with multiple contracts. Tech-Pro has systems to help clients manage their vendors from requirement through termination. Tech-Pro provides a single point of contact for all vendors, allowing a seamless cost saving alternative to manage your vendor base. To reduce the cost and liabilities of managing multiple vendors contact Tech-Pro and learn more on how you can benefit from our managed staffing services. Tech-Pro’s project staffing services provide you with the flexibility to help manage resources. Tech-Pro provides a non-billable onsite resource coordinator for those who have contractors from multiple vendors on critical projects. Your entire HR burden will be handled by Tech-Pro’s project staffing services. We have extensive experience in staffing which allows for your prime focus to remain on the project deliverables, rather than on other side tasks. Contact Tech-Pro to effectively manage knowledge transition with our broad project staffing services. Our excellent recruitment process outsourcing services work towards the clients’ need to save time and shorten the hiring cycle. Tech-Pro provides direct hire services to supply valuable resources to the client. We help to effectively identify and screen the right candidates in order to provide our clients with the right talent the first time. Our process shortens the hiring cycle to a great extent. This being said, if you are looking to reduce your HR cost for hiring permanent placements, then our direct hire services are the answer for you. Contact Tech-Pro’s team of highly skilled professionals if you are ready to shorten your hiring cycle process. Whether it is a shortened time frame, a unique skill-set requirement, or the need for stringent internal controls that is compelling you to look for a partner who can make your objectives an operational reality, get in touch with us to learn more on how you can take advantage of our proven experience and knowledge. Our services provide clients with the right resources without taking away control they would exercise in an in-house team. Our services are suitable for those looking to minimize risk, administration, and recruitment costs. Tech-Pro has a collaborative onsite model as well as a dedicated account management team. Together our workforce management services aim to provide our clients with quality resources which are capable of smoothly integrating into your organization. We also provide you the internal control that is required to meet other technology objectives.